I don’t know about you, but I could use a few extra hours in my day. After a great three day weekend that included an awesome trail run, a field trip to the farm, family time, and cooking and eating dinner with friends, it was tough coming back to reality. I woke up this morning, cooked breakfast and packed my lunch and ran off to work. Approximately ten hours later, I was headed to school. No class today, but I had a meeting with my team to discuss a group project. When we were done, I ran to the gym and blasted through my WOD (workout of the day) as quickly as possible, so I could get home and still have time to make dinner and do homework before it was time for bed. I had actually been thinking about dinner all day. It started on Friday when my long time friend Laura emailed me asking if I had any good curry recipes. Being the terrible friend that I am, it took me until Monday morning to reply back to her with some ideas. That got me thinking about curry. And how delicious it is. And how easy it is to make. And how you can can make it using just about any vegetable that you currently have in your fridge or garden. And how the leftovers taste even better the next day. 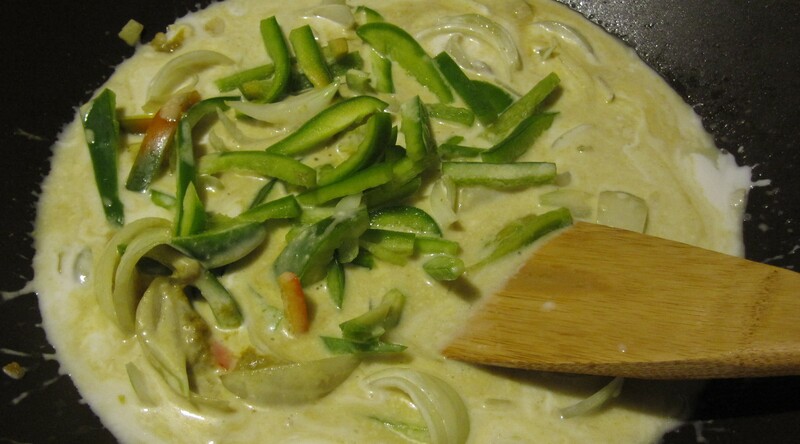 So, here is my simple recipe for Green Thai Curry. Laura, I hope you enjoy and if you weren’t so far away, I would make it for you!! 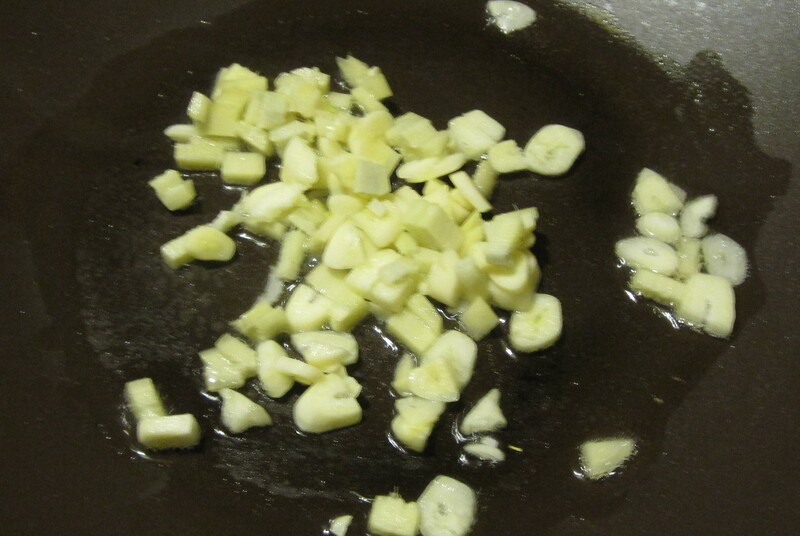 In a large wok or frying pan, warm the oil and add the chopped garlic and ginger. Cook for 1-2 minutes. Chop the onion and add it to the pan. Cook for another 1-2 minutes. Add the green curry paste. 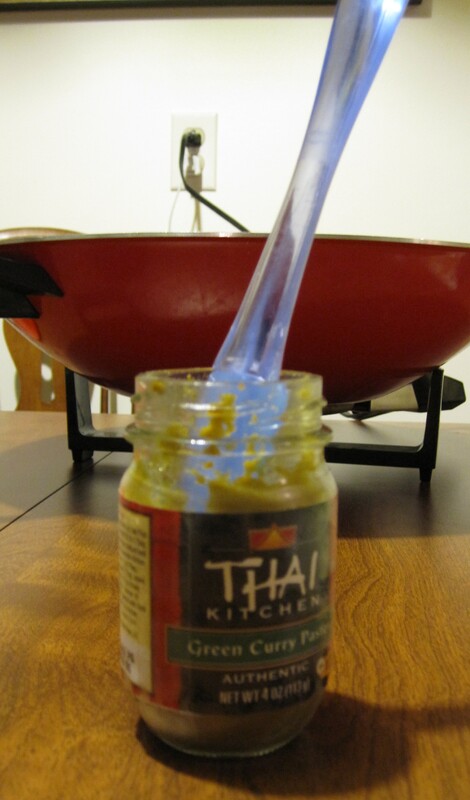 I like my curry to have a little spice to it, so I use 2 heaping spoon fulls. 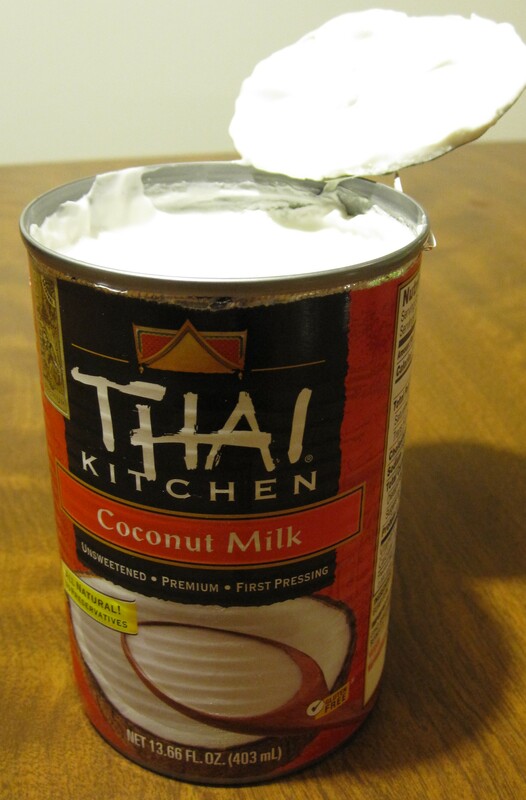 Cook for two more minutes, then add the coconut milk. 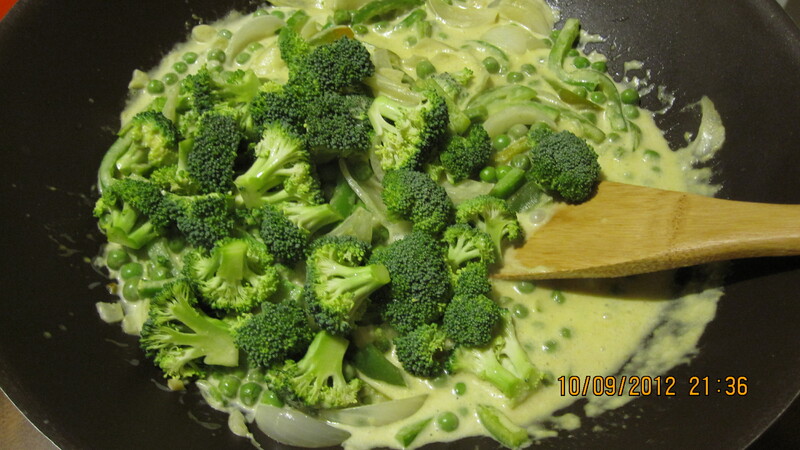 Once the milk is warm, add your veggies, starting with the ones that will take the longest to cook. The veggies that I used are all delicious raw, so I only cooked them for a few minutes. If you are using ingredients like sweet potatoes or eggplant, you will want to increase your cooking time. If I ever have a few extra hours in my day I will let you know! Nice post. I love curry. 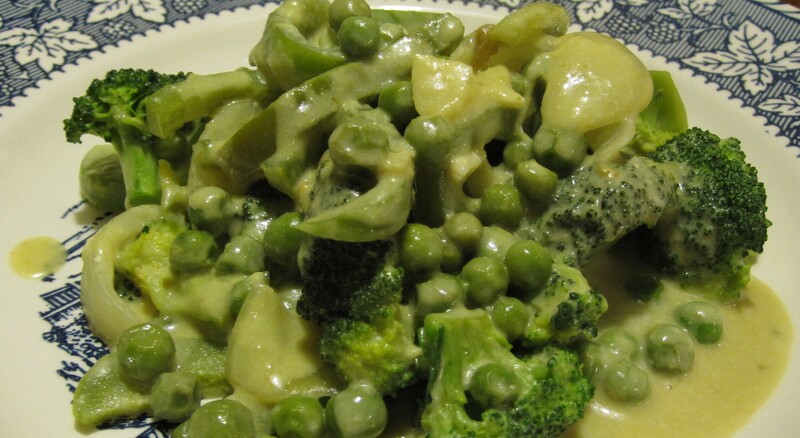 I also love the fact that this looks like paleo friendly curry. 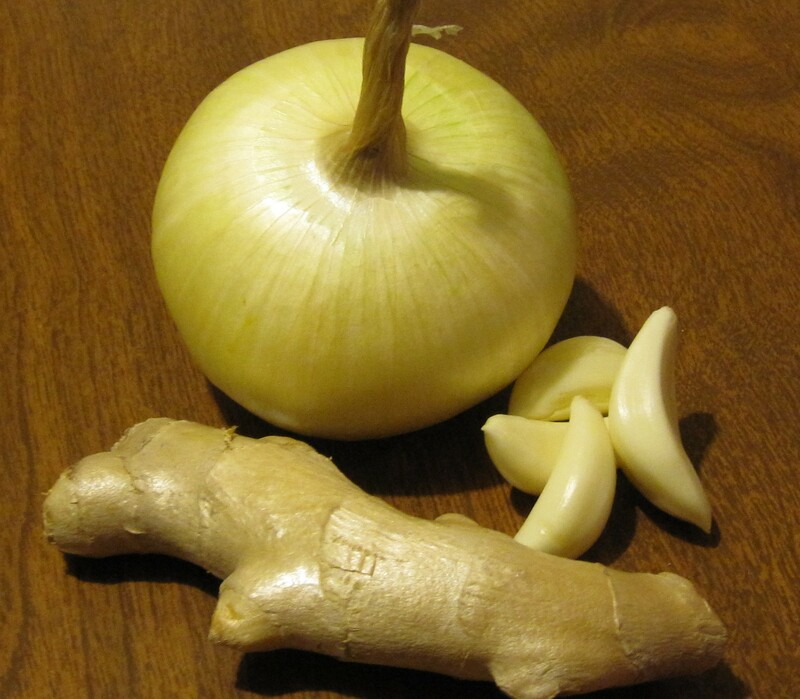 I’ve been experimenting with paleo lately and would love to throw in some curry dishes to my arsenal. Thanks Shane! I think that curry is great since you can take a basic recipe like this and use any vegetables or proteins that you like. Also, it’s delicious. I try to keep my recipes as paleo friendly as I can, so keep watching for more ideas. 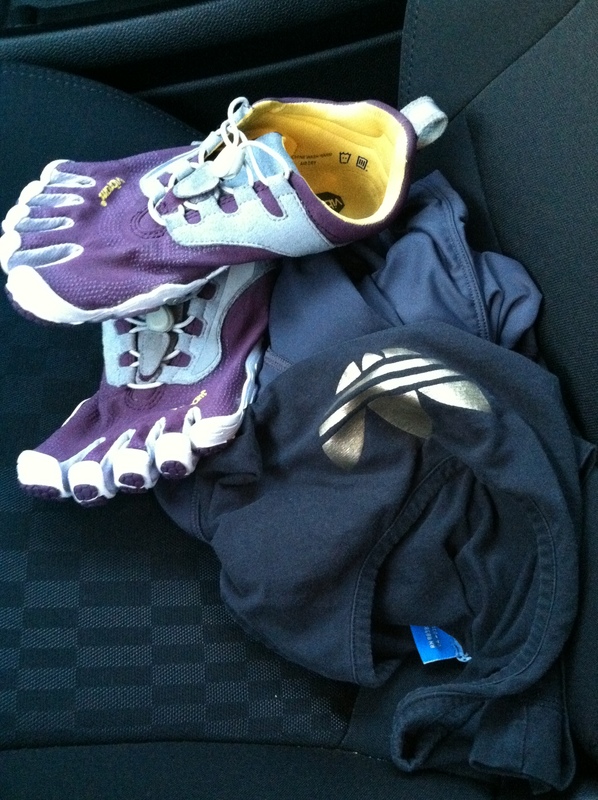 And Vibrams definitely are awesome!